How Much Does Urban Outfitters Pay? Does Urban Outfitters Drug Test? If working for a creative, inclusive brand appeals to you, then Urban Outfitters careers offer a great way to work in fashion and home retail. Urban Outfitters (UO) considers its stores “experiential retail environments,” selling an eclectic mix of clothing, accessories, music and home products. Founded in 1970 near the University of Pennsylvania, UO now has over 200 stores in the US, Canada and Europe. They sell both trendy products and handpicked vintage items at affordable price points. UO’s home collection is designed for the decorating needs of teens and young adults. The Urban Outfitters identity embraces creativity and community, and strives to be unique among other retail brands. Beyond the store, UO aims to represent an inclusive community through their social media presence, community involvement and events. Looking for creative, like-minded people, Urban Outfitters offers a wide variety of jobs in the retail fashion industry from entry-level sales associates to positions at the corporate headquarters. Sound good? This employment guide will show you how to get started. You’ll learn about available opportunities and how to apply for an Urban Outfitters career. To find a job at Urban Outfitters, visit one of their stores to fill out an application or go to their careers website. A full listing of opportunities and applications is available at this page. Sales Associates are people who “get” the UO brand and want to create an engaging experience for customers. You’ll help them select merchandise, create looks and complete sales. You’ll need to stay on top of trends and be active with social media, while collaborating with management and other associates to perform job functions. Communication, product knowledge and sales ability are important skills for this job. Whether on the sales floor or working as a cashier, Sales Associates help maintain store appearance and assist with loss prevention. Team Leaders work with and oversee the training and development of Sales Associates. You’ll lead by example, meet sales, profitability and loss prevention goals and deliver excellent customer service. Driven by their deep connection to the UO brand, Team Leaders need to have strong business, communication and collaboration skills, be committed to fostering UO’s unique customer experience and carry out merchandising, pricing and display projects. You’ll also need to be active on social media to help promote the brand. Department Managers maintain the operations and appearance of their assigned department within an Urban Outfitters store, and assist with the daily operations of the store as a whole. You’ll coach team members on store operations and customer service, recruit and train new employees and promoted individuals, foster strong communication with your department and the store, and have excellent business skills to maximize sales and meet other metrics. Like all other UO jobs, you’ll need to love the Urban Outfitters brand and be active on social media to help promote it. As a member of the store management team, you’ll be eligible for bonus pay as determined by your supervisor. Store Brand Leaders (or Store Brand Managers) oversee an entire Urban Outfitters store, including staffing, sales, operations, customer engagement and collaboration with District and corporate level management. While driving sales and meeting store goals, Store Brand Leaders are responsible for the “brand experience,” helping customers engage with UO in-store and through social media to foster the UO community and culture. You’ll need to have strong visual and business skills, promote good communication and teamwork and be adept with digital communication. 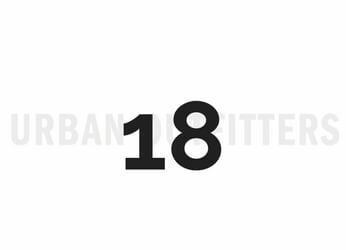 Urban Outfitters internships are 10-week programs for anyone 18-years and up. Summer programs are the most competitive and applications are due in December. Fall and spring positions have no deadline and rolling admission. Interns work at the home office in Philadelphia. While learning hands on about UO, the program also provides field trips, brand events and opportunities to meet UO executives. A variety of positions are available including buying and merchandising, e-commerce, design, IT, finance and more. Urban Outfitters is always on the lookout for top talent within their staff to provide advancement opportunities. Managers are eligible for bonus pay and other benefits including health coverage, paid time off, financial planning and other extras. From Sales Associate you can become a Team Leader. Success in that role can lead to Department Manager and eventually Store Brand Leader, overseeing an entire UO store. Urban Outfitters stores often have additional Sales Associate positions available seasonally, especially during the holidays. Ask at an Urban Outfitters store location about availability. Urban Outfitters pay rates start at around $9/hour for Sales Associates and benefits for part-time employees include employee discounts. Benefits for full-time management employees can include bonuses, medical, dental and vision coverage, paid time off, 401k and a variety of wellness initiatives. Salary information can be found on Glassdoor.com. According to our research, Urban Outfitters does not drug test for employment. However, employees who are suspected of being intoxicated while at work may face drug testing or other disciplinary procedures. Use of alcohol and drugs while at work or arriving for work under the influence of drugs or alcohol are not permitted. Additional screening and/or background checks may be required for higher-level management jobs. Urban Outfitters has some unique hiring practices. During the hiring process, you might be asked to complete a video introduction (especially for Team Lead and higher), an opinion survey, or asked to attend a UO hiring event. Here are some typical interview questions that have been reported by Urban Outfitters job candidates. 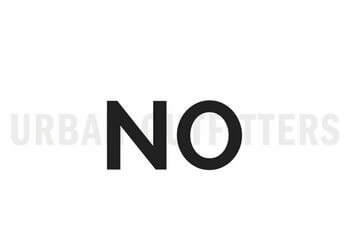 Why do you want to work for Urban Outfitters? Urban Outfitters values their unique culture and emphasis on creating community through their stores and social media. Be prepared to talk about how you create connections using social media, what you think about fashion trends and how your culture and values can contribute to Urban Outfitters. How would you describe Urban Outfitters? Think about the brand (how it looks and also what it stands for), and also talk about how the products they sell support their idea of culture and community. Connecting with customers in person and through social media is important to UO, so talk about how this matters to you, too. Describe a good customer service experience. Remember that UO likes to connect with customers on multiple levels and help them create looks by combining merchandise in unique ways. Demonstrate that you can be attentive and helpful while helping to deliver what the customer wants. Be professional in your manner and attention to detail, but your appearance should appeal to UO’s unique style, so don’t be afraid to be yourself! Show your enthusiasm for the Urban Outfitters brand and values. Whether it’s in person or online, be on time for your interview. Make sure you offer a phone number where the hiring manager can easily reach you if they have more questions or want to make you an offer. Good luck!